On the morning of our flight to Las Vegas, the temperature in South Bend was a chilly twenty-seven degrees with accumulating snow. By the time we reached the airport, approximately two inches had already fallen. Our plane, initially diverted to Grand Rapids because of low visibility, had to be de-iced before taking off. What an unlucky start to our Las Vegas and St. George trip! When we finally arrived in Las Vegas we were greeted with temperatures in the high eighties. What a difference four hours can make from icy cold to broiling hot, a blanketed white landscape transformed into a dry dusty desert. From now through October, our travels will take us across the country from the nation’s capital, where we will grand-baby sit, to the redwoods of Northern California for our son’s wedding. In a few short days, the blending of two families will begin when we meet our son’s future in-laws who are also traveling to Las Vegas. We’ll spend a few days together getting to know each other before the August wedding. As Paul’s life unfolds, and as he and his future bride are embarking on new adventures, so will two families, now strangers, but soon to be joined by marriage. After spending our first evening in Las Vegas with Paul and Katie, we left the next morning to spend a few days with the Kills, our friends from South Bend, at their St. George home. 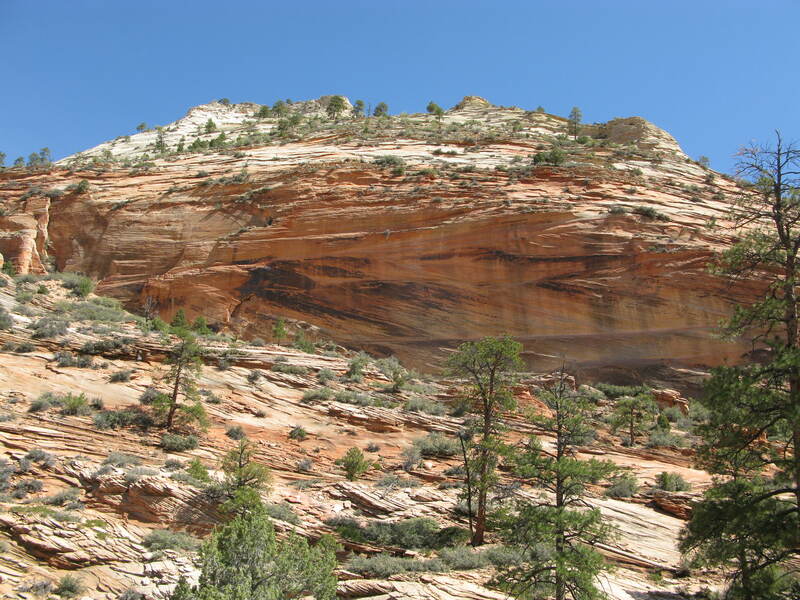 We now know why they retreat here for the winter months — Utah is breathtakingly beautiful. Beauty is everywhere. From their patio high above a golf course in the gulch, we focus on the expanse of reddish-toned mountains and splotches of black lava rock, then gaze appreciatively on the dusty green of flowering cacti and myriad colors of other desert plants. Accented by blue sky and wisps of white clouds, this natural panorama is captivating. 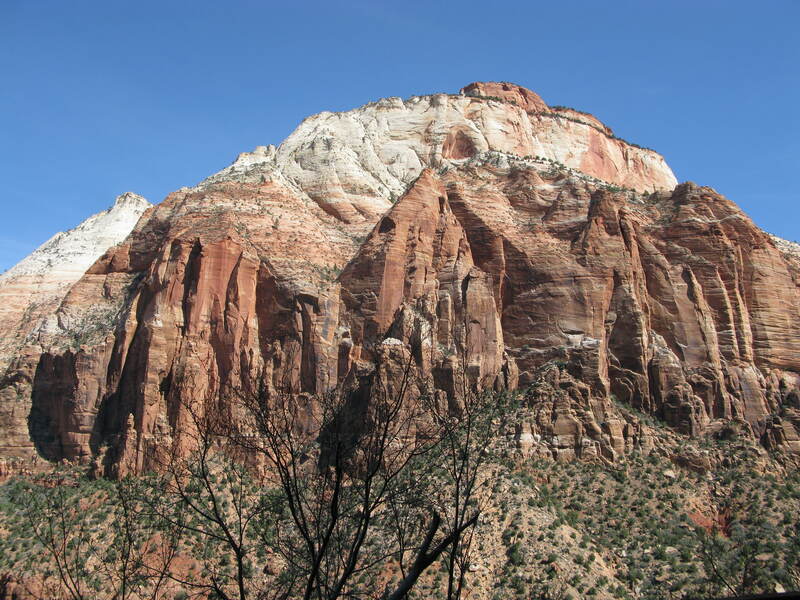 The looming mountains of Zion National Park with its resplendent canvas of color, shape, and layered patterns of swirling strata, elicit a religious stirring within the soul. As we take in this expansive edifice of nature, the phrase “not all cathedrals have stained glass” resonates. One can only imagine the extraordinary ecological disruptions that produced such magnificent splendor. The long ago thunderous crashing of stone that gave birth to these graceful structures now offers serenity and tranquility to even the most blasé of observers. 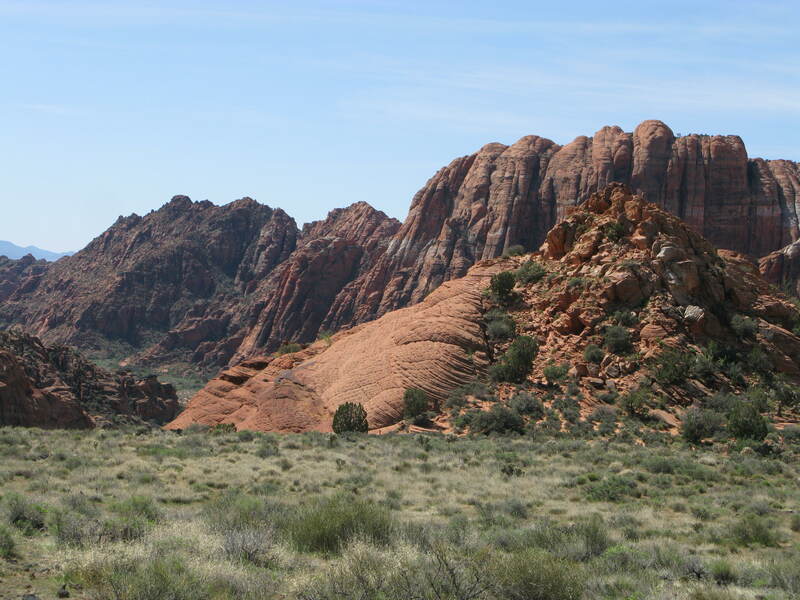 The following day we hiked in Snow Canyon for two and half hours through sandy paths, rocky terrain, and lava fields. 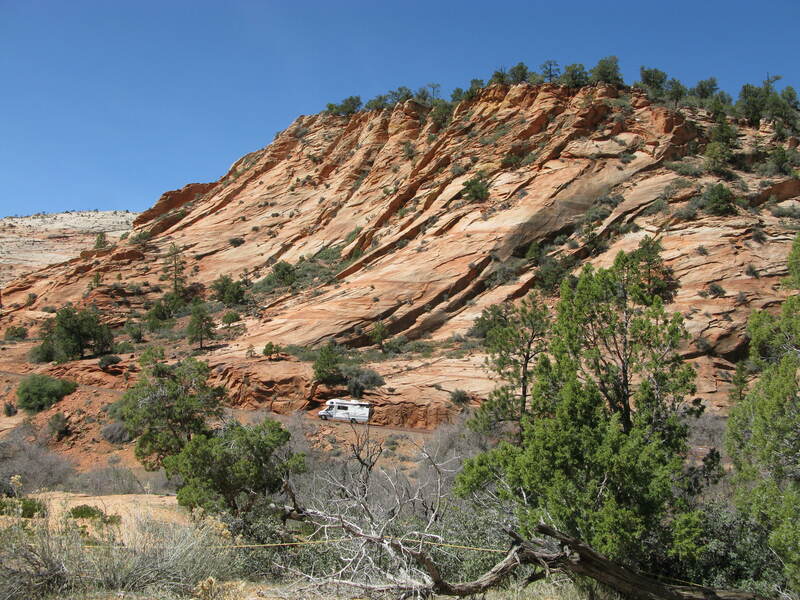 Though not as grand as Zion, Snow Canyon with its sloping hills seemed more accessible. Except for a few other hikers, we were left alone to explore. 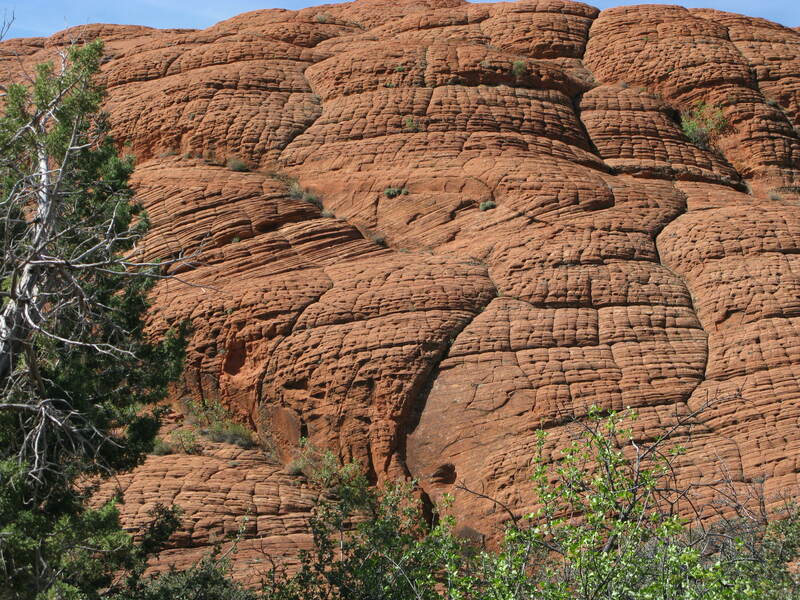 Here we were able to examine more closely the graceful contours of the mountains, their beauty enhanced by the intricate patterns of swirls and alternating long tunnels etched along their slopes. 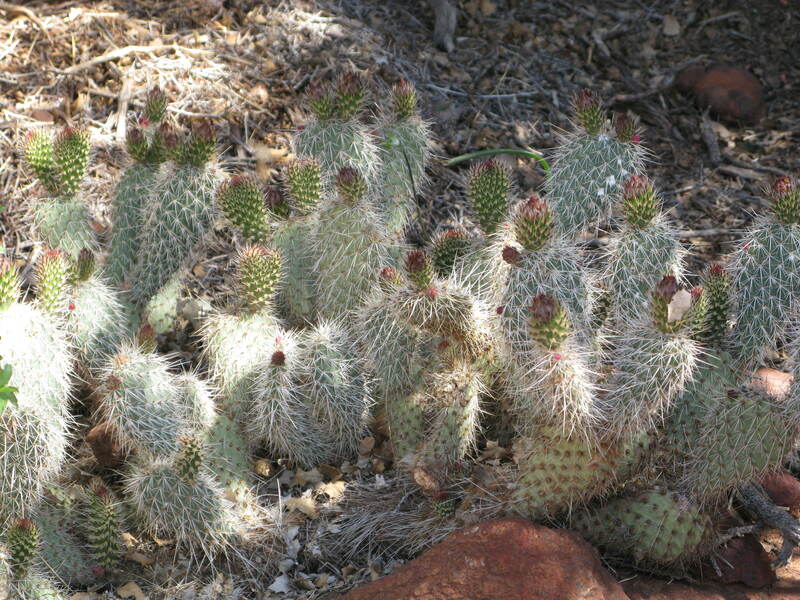 Strewn along the desert floor were colorful patches of flowering cacti of yellow or rose blooms. Occasionally we happened upon a lone flowering stem tinged in purple, yellow or fuchsia. 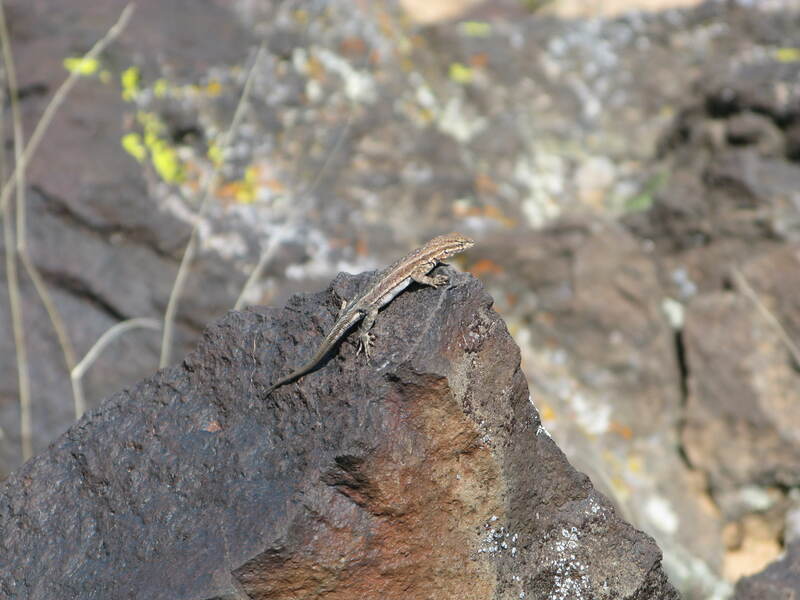 A salamander perched upon a rock caught our eye or a startled jack-rabbit would dart across our path. 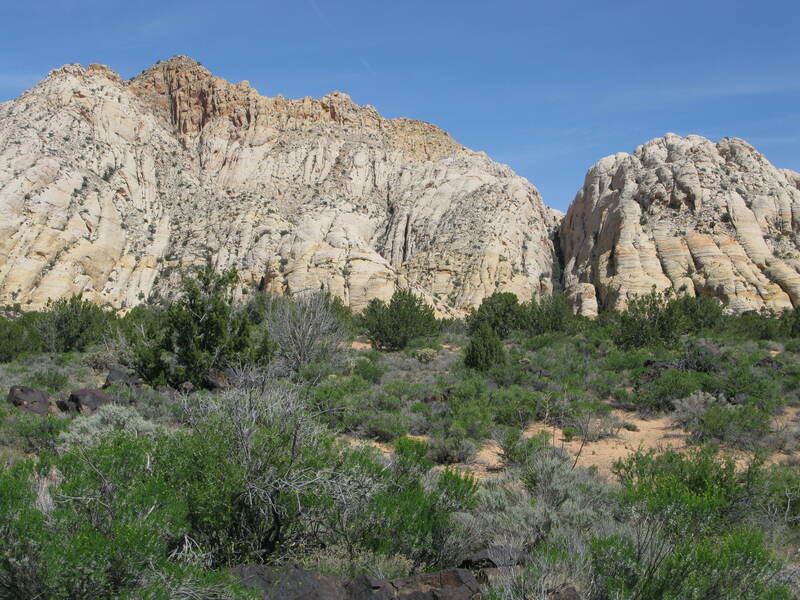 The orchestration of color and form of white rock, red clay and black lava beds was clear evidence of divine handiwork. Utah’s beauty is irrefutable. And although there is not much cultural and ethnic diversity, the people here are among the friendliest we’ve ever encountered. Everyone greets you with a smiling hello. 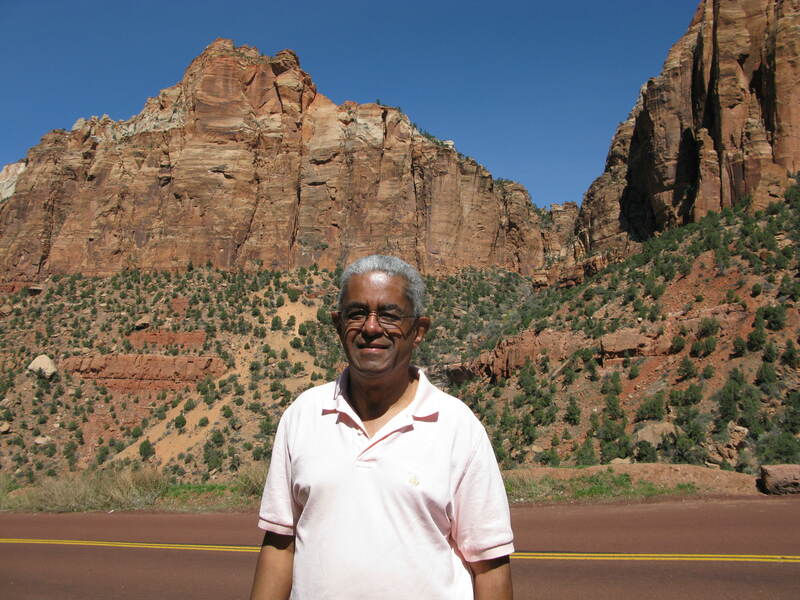 Perhaps, the root of this openness is the Mormon faith professed by many in the state. Neighborhoods are closely knit. I learned that there is a Mormon Temple for every four hundred households. There is much more to learn about this fascinating place. 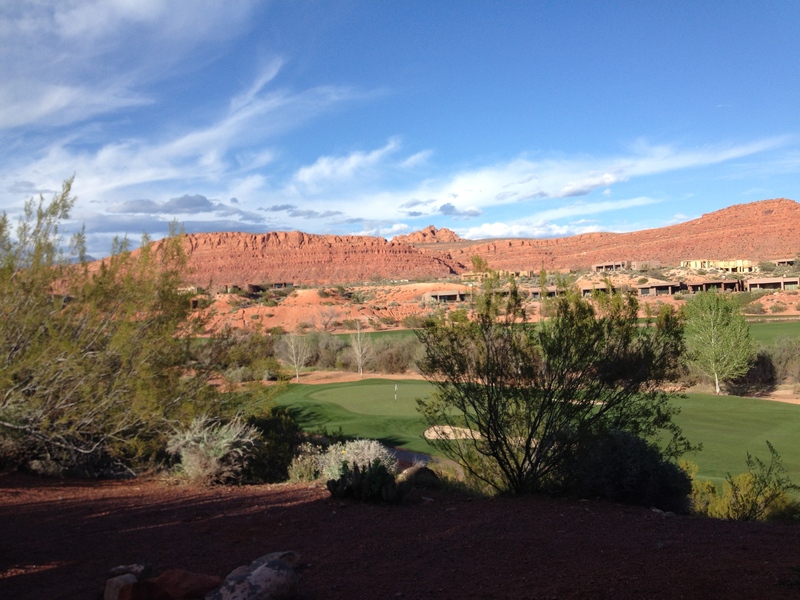 This was our first extended visit to Utah, but certainly not our last!